Carl Friedrich Wilhelm Borgward was born on 10 November, 1890, in a Hamburg suburb. After leaving school at 16 years old, he became an apprentice locksmith but World War 1 intervened. 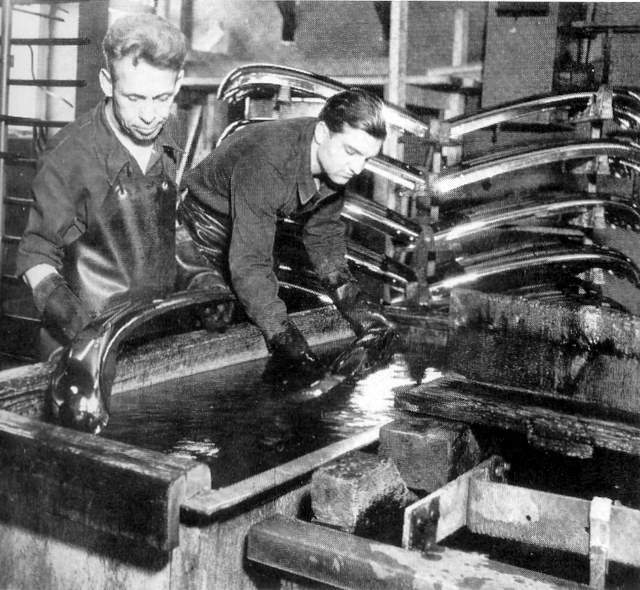 He joined a company that produced tyres but with Carl Borgward they switched to making radiators and body panels for the firm Hansa-Lloyd. By 1921 Carl had been repeatedly promoted until he became the sole owner of the Bremer Kuhlerfabrik Borgward and Co. G.m.b.H. in Bremen. He was desperate to manufacture his own cars but lack of financial help forced him to abandon development of a 2 cylinder sports car project but he did however manage to produce a three-wheeled 120cc delivery cart, with a single front wheel, for the post office in 1924 called 'Blitzkarren'. In 1926 his next model was the first 'Goliath' and had a single rear wheel with a two stroke 200/250cc engine. The Goliath Rapid and similar 350cc Goliath Standard were joined by two four-wheel models in 1929 and 1930. 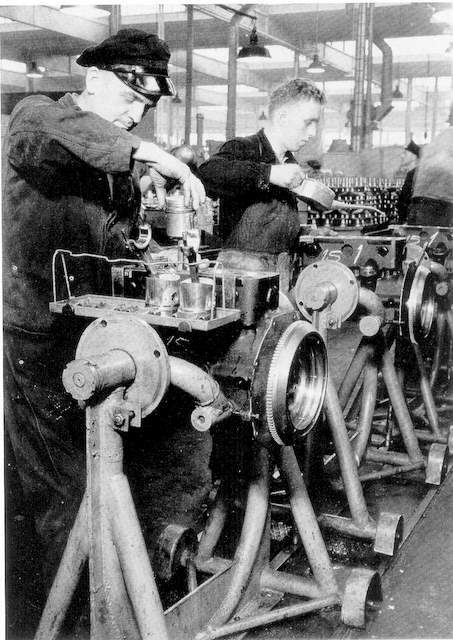 The 'Express', a two cylinder two stroke 600 and 'Superior', a four stroke 2,350 cc 4 cylinder 1.5 tonne lorry forging the Goliath Werke so successfully forward that by 1931 it had successfully taken over Hansa-Lloyd. After producing his first car, a 200cc three wheeler with a single front wheel and 'Dickey Seat' and top speed of 35 miles per hour, Carl Borgward produced the four wheeled Hansa 400/500. This was followed in 1934 by the beautiful four-stroke Hansa 1100 and Hansa 1700 models, including Cabriolets, and the fast and elegant Hansa twin carburettored 1700 Sport-Cabriolet. From 1938 the range was further enlarged to the Hansa 2000cc and Hansa 3500 but from 1939 the Hansa 2000 became the Borgward 2000 and the Borgward 2300 the first cars to be made under the Borgward name. 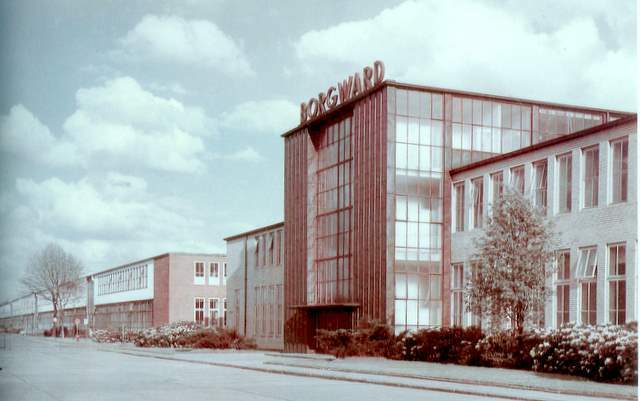 During World War 2, the Borgward plant became an armaments factory and Carl Borgward returned to what was left of his factories in 1948. 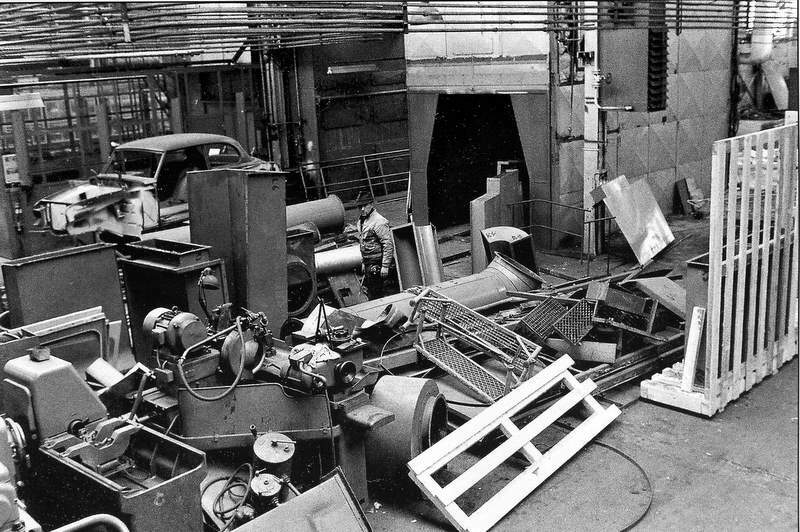 He decided that the best way of increasing his raw materials allocation was to have three different car companies and therefore three times the amount of raw materials! 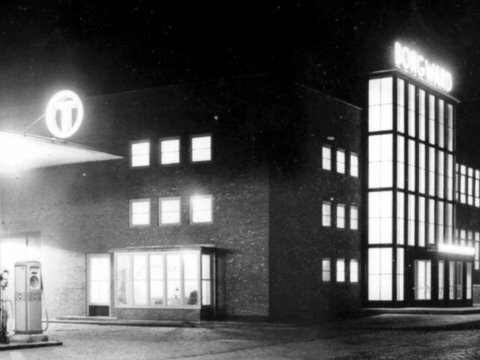 The companies were Goliath, Lloyd and Borgward Hansa. This was a great idea but in practice having three entirely separate engineering, styling and sales departments was rather costly and in one instance it resulted in Lloyd managing to develop a new 900cc flat four water-cooled engine, when Goliath already had something similar! 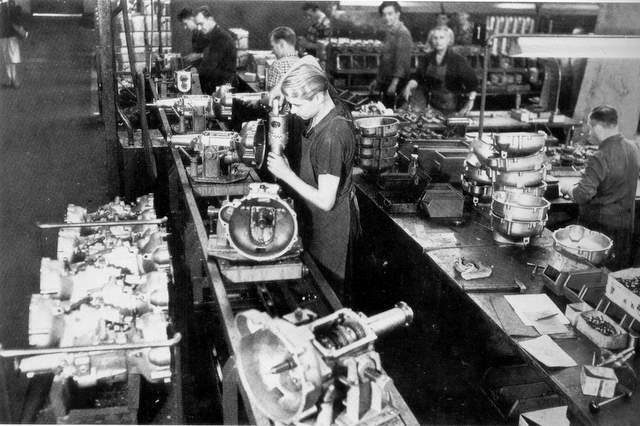 Subaru actually used the Lloyd powerplant as a prototype for its boxer engines in Japan. 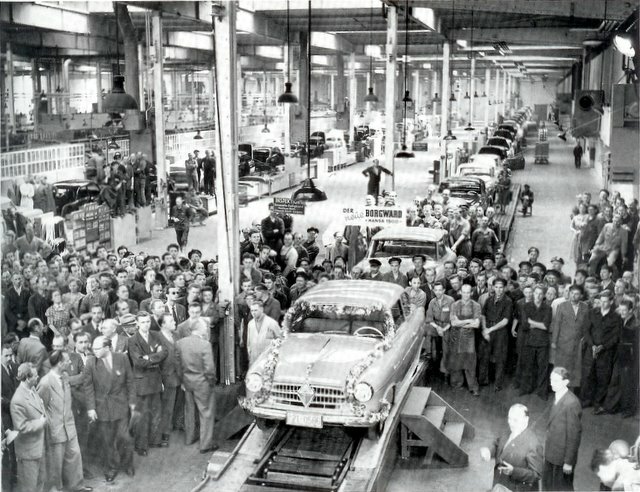 The Borgward Hansa 1500, in production between 1949 and 1952 was the first new car to be built after the war. From '52 to '54 came the Borgward Hansa 1800, same body style but a new dashboard which was to emerge again later. This lead on to the much more technically advanced 'Isabella' the most important model the company ever produced. The 1954 'Isabella' was known as a Borgward, not a Borgward Hansa, although the cars kept the Hansa name on the bodywork until 1957. The 'Borgward Hansa, as such, was continued with the 2400 Fastback from '52-'55 and the big luxury Pullman-Limousine from 1955-'58. Lloyd produced the little 2 cylinder 300cc two stroke through various models, to the four stroke air cooled two cylinder LP 600 Alexander and the 1959 Lloyd Arabella 4 cylinder boxer engined 900cc. From 1950, Goliath produced the GP 700 (2 cyl.) including the beautiful Rometsch bodied GP 700 Sport to the Goliath 1100 (4 cyl.) from '57 and the not too dissimilar and slightly more powerful Hansa 1100; from 1958 both available in extremely stylish Coupes. The big Combine, Borgward, Hansa, Goliath and Lloyd also produced an absolutely vast array of diesel and petrol lorries, commercial vehicles, vans, buses, army vehicles, fire engines, stationary engines, tanks, boats, electric vehicles and even a helicopter! 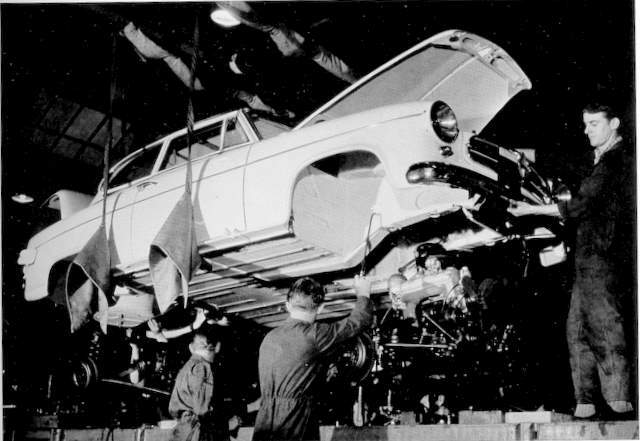 For years large car manufacturers have disguised their pre-production prototypes so in the spring of 1954 the Borgward Combine sent out their new Hansa 1500 Saloon on their last few road tests before its official release. The engineers asked Carl for a name to replace the nameplate on the cars. 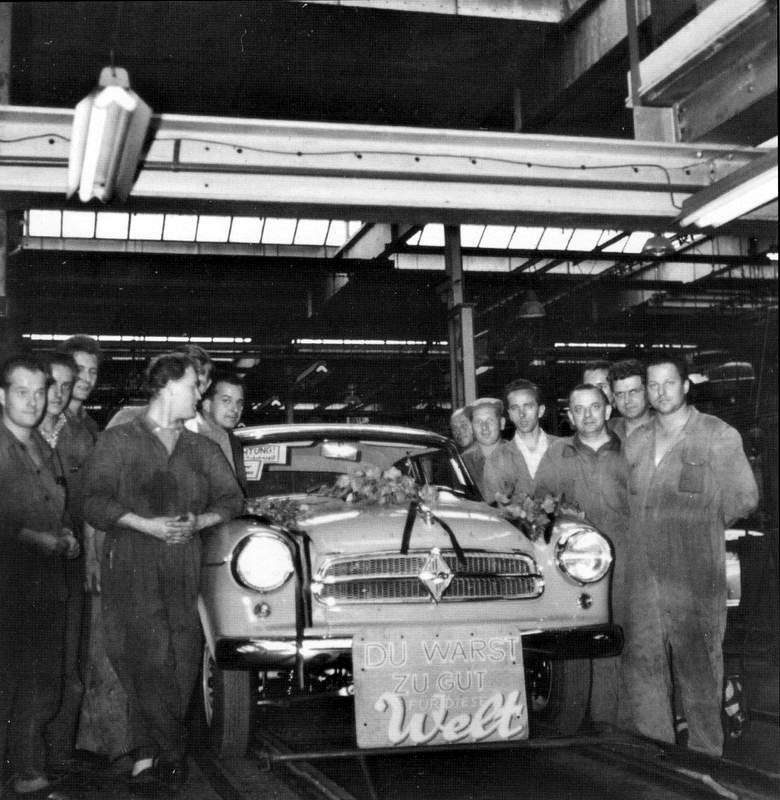 Carl Borgward, not only the founder and owner of the company but the chief technician and designer, told them, "It does not matter what you put on it, you might as well call it 'Isabella'." It stuck! 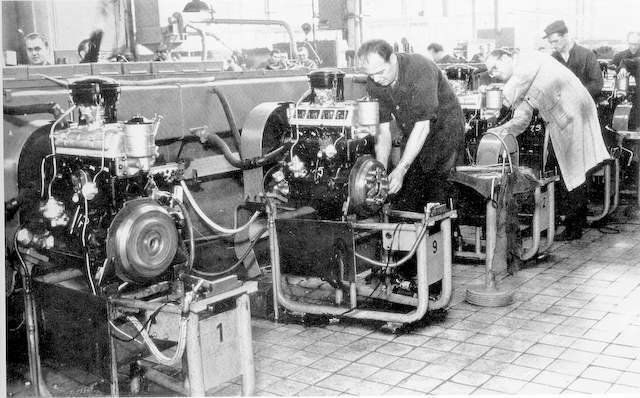 The 'Isabella' had a 1493cc inline 4 cylinder OHV engine of 75 x 84.5 mm bore and stroke with a single downdraft carburettor, fitted to an extremely short intake manifold inside the rocker box. This actually gave the appearance of an OHC engine as opposed to it being an extremely efficient pushrod powerplant of 60-bhp din (65 bhp SAE). The pretty car was spacious, thoroughly well made and comparatively light for its size at 1,000 kg. 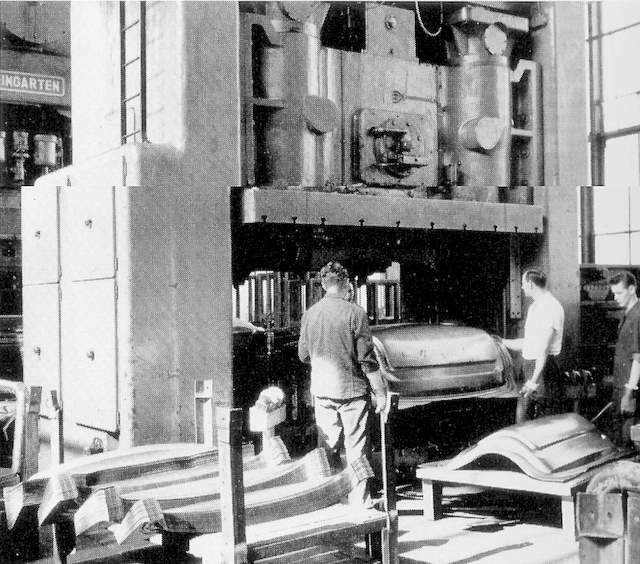 Light aluminium alloys were used extensively for the gearbox, cylinder head and on many engine parts, covers, etc., as opposed to the cheaper and noisier pressed steel. 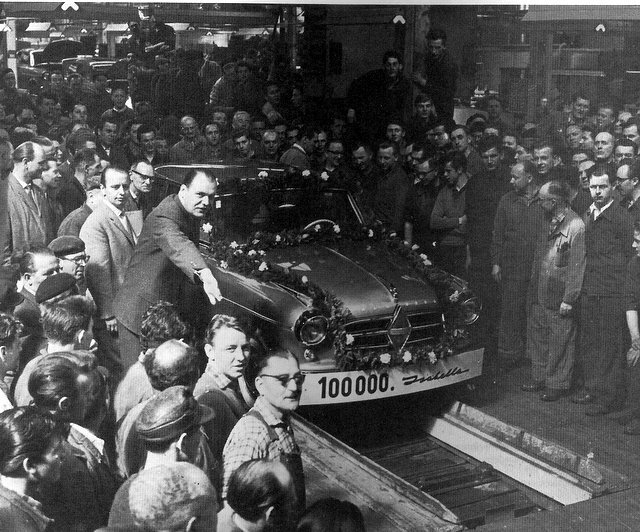 On 10 June 1954 Dr Borgward had 200 journalists to witness the first Hansa 1500 rolling off the production line. 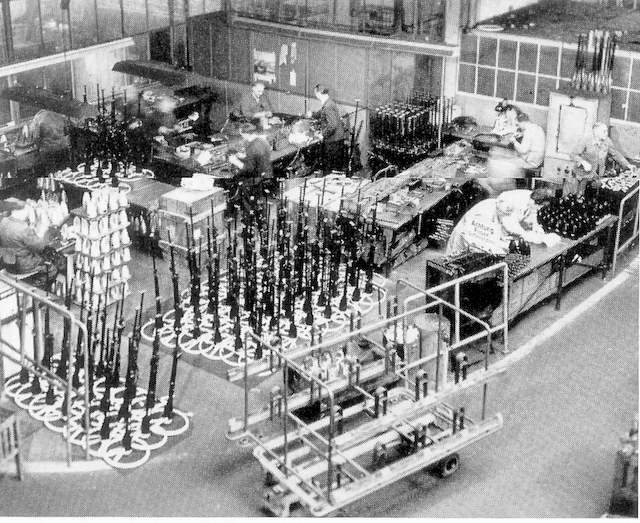 The gearbox had four all synchromeshed forward speeds and one reverse and was actuated by an extremely efficient and precise column gearchange marred only by its rather long throws. 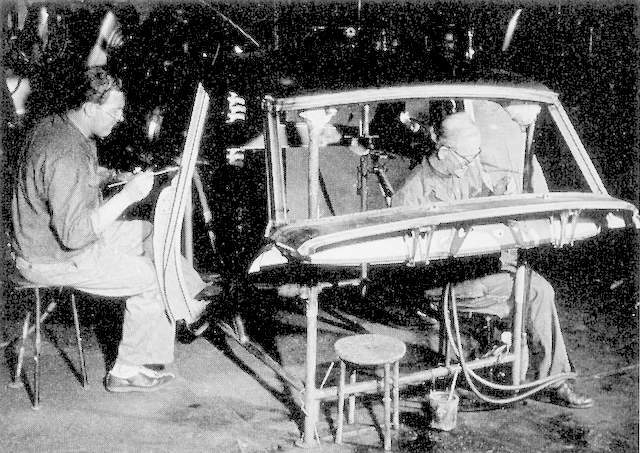 The handbrake was mounted under the dashboard and was the umbrella type that, with the bench seat, allowed three across the front and three across the back. A true 5 and occasional 6 seater. The polished Bakelite dashboard contained three large gauges, a clock/temperature gauge, petrol gauge and the speedometer. There was a cigarette lighter with a plug in map reading light, three ashtrays, one under the dashboard and two in the rear side panels. Ample storage space was provided comprising two door pockets, glove box and later supplemented by two retractable cord strung tubular framed map holders, mounted on the side of each footwell. Unusually, the doors had separate wind down quarter lights providing draft free ventilation. Separate heaters for driver and passenger were provided, as were separate controls. The large white steering wheel actuated a lightly weighted and rubber coupled worm and peg or worm and roller steering box with three turns from lock to lock. The steering was very precise with a turning circle of around 32 feet; later cars being fitted with a hydraulic telescopic steering damper. The very well balanced weight distribution coupled with the low centre of gravity and all round independent suspension endowed the car with very high cornering powers. The fuel consumption was low at around 34 mpg and the top speed was 87 mph yet Carl F. W. Borgward kept the price low by a mixed price calculation with his other products. The only real vices were the vertical fixing of the front bulkhead to the floor making it slightly awkward to rest your feet and the rather low driving position of the front seats, but these were only minor faults against all the advantages. 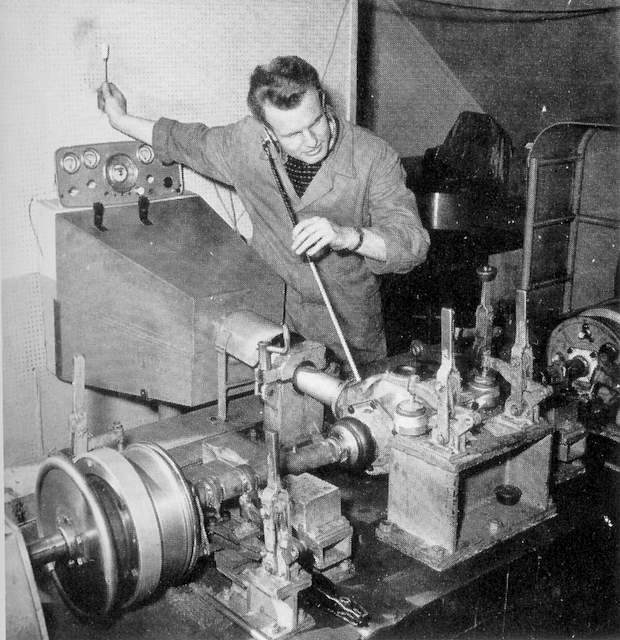 Although the factory-reconditioned units for items such as the engine and back axle were relatively expensive in 1954, there were no rivals. 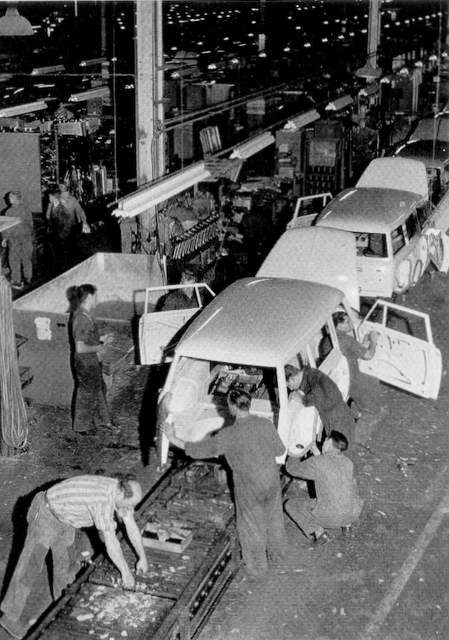 In 1955 the Isabella Combi, an Estate version, was added to the range. 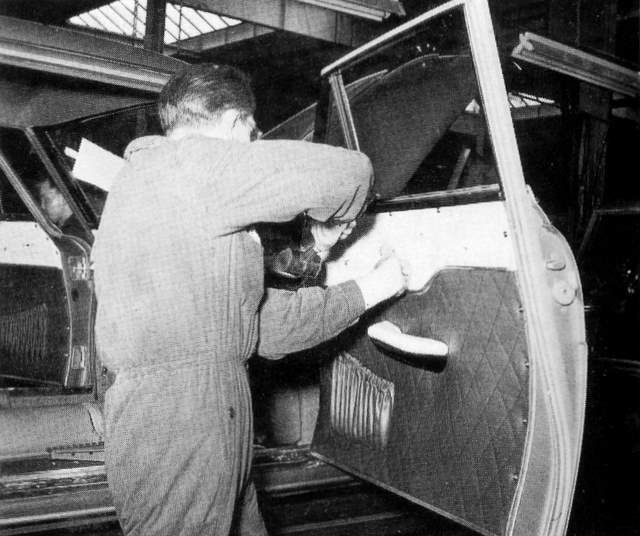 The special coachbuilder, Karl Deutsch of Cologne produced a 2+2 Convertible version of the Saloon, the Isabella Cabriolet and 2+2 fixed head Coupe called the Deutsch Coupe. The Isabella Cabriolet was an outstandingly attractive car and at the time was thought of as one of most beautiful cars built in Germany. 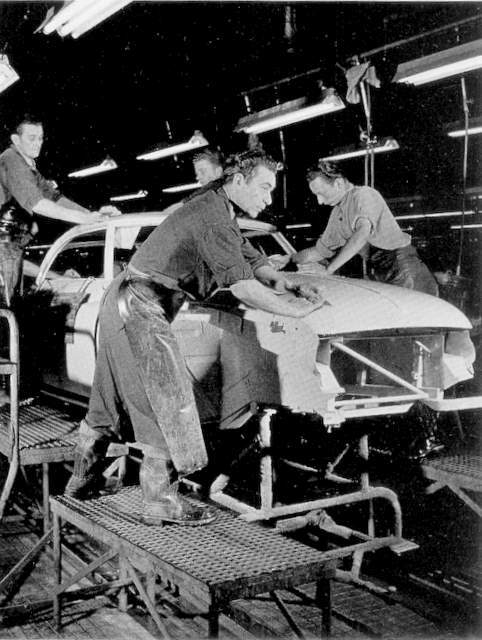 Although only 23 were built of the Deutsch Coupe, this was an important car as it was the 'missing link " between the Isabella Saloon and the yet to be built (totally by the factory) Isabella Coupe. Output rose to 26,378 cars and Borgward were now in second place behind Volkswagen in the German sales statistics! 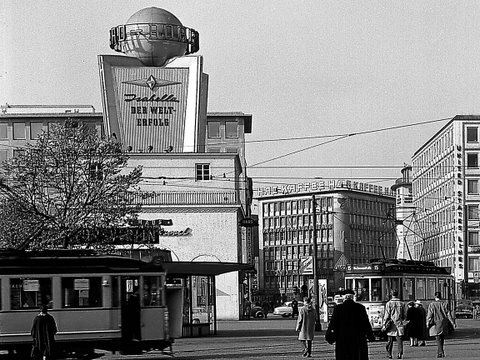 At the Frankfurt Motor Show (IAA) in September 1955 the company demonstrated the new Isabella TS. The compression ratio was increased from 7.2:1 to 8.2:1, the exhaust and inlet valves were enlarged, pistons and bearings strengthened and the original carburettor was replaced by a large twin choke downdraft Solex. Engine output was increased to 75-bhp din (82 bhp SAE) with the rpm increasing to 5200. This resulted in the car really flying. Top speed was up to 98mph and the freely revving engine was now able to propel the big car to 60 mph in 15.8 seconds. (The figures compared very favourably to the Mk 2 Jaguar 2.4.) Individual reclining front seats replaced the bench seat so the seating was now a very generous 5 seater. It was adorned with more chrome; rear lights; parking lights/additional indicators; extra sidestrips and around the window framework. It was now mooted to be probably the fastest 1500cc; volume produced; standard 5-seater saloon car; in the world! All this, and the fuel consumption had been improved to 38 mpg. Clamping roof assembly in jig prior to spot welding. Top section final welding and brazing. 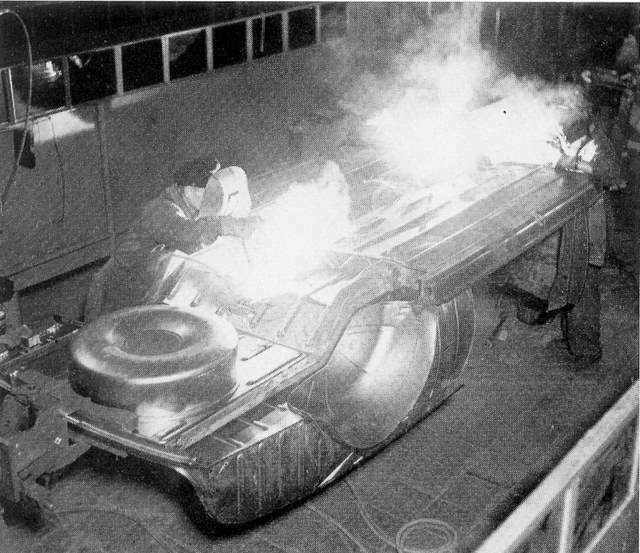 Floor to inner panels welding. Upper and lower body being set up for welding. High quality stainless steel, alloys were tested at the factory, then cast into engine and chassis parts. Bumper electroplating in Hall 1. Trim shop door cards and seats. Front suspension assembly and differential testing. 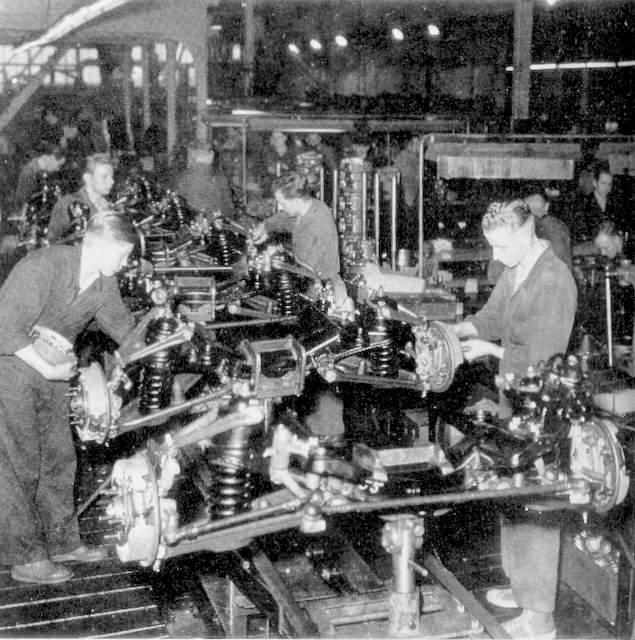 Gearbox and Steering wheel production Hall 3 Borgward produced his own gearbox and differential gear sets. Isabella engine 4M1.5II assembly and test. Engines were run in for 1 hour before being passed to production. 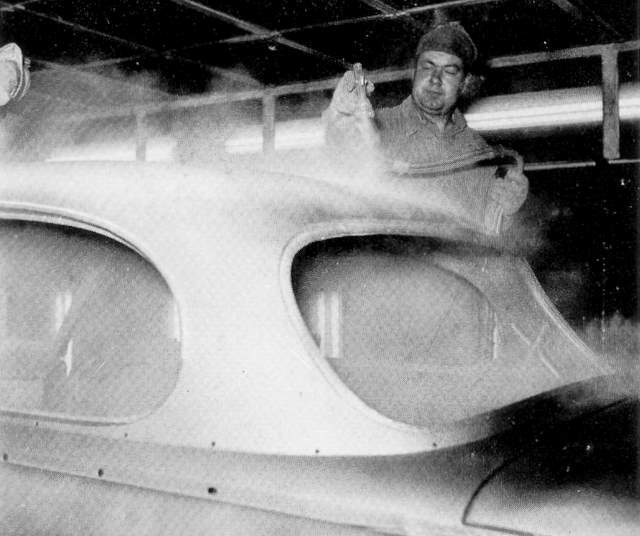 Paint shop spraying baking and polishing. The marriage of body with pre assembled engine and axles. Isabella ready for final testing before delivery. However output fell to 20,993 in 1956 because of some losses on the export market and other manufacturers had brought their cars up to date. In February 1957 the Company released the 'patron's' masterpiece, the Isabella two-seater Coupe. Carl Borgward had put a lot of effort into the design of the car. He felt that it should have its own body style but it should have a general similarity to the rest of the Isabella range. A new dashboard was added with push button controls very similar, except in cream with white instruments, to the Borgward Hansa 1500/1800 and with a soft padded top. The slightly plump yet flat shape of the original Isabella was replaced by a Coke bottle style and the top parking lights/ indicators were the only indicators atop the front wings. Electric windscreen washers were fitted as standard. The rear wings sported totally new boomerang shaped rear lights paying a subtle homage to the American fashion for fins. The original Deutsch Coupe had obviously been an influence but this was a sleeker and much more luxurious car. The new Coupe replaced the Deutsch Coupe, so Karl Deutsch of Cologne introduced a Coupe Cabriolet 10,000 DM above the basic Coupe. Because of the large price gap between the new Coupe and the TS Saloon the TS De Luxe, complete with two-tone paintwork and extra chrome, was introduced to fill it. The range had minor improvements such as a new 10.5-gallon petrol tank, longer gear lever, improved suspension, new recessed steering wheel, new upholstery and a new instrument cluster. 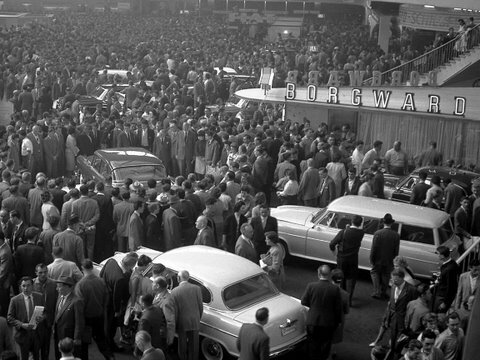 The Frankfurt stand exhibited a violet Isabella, Borgward's 500,000th car since 1948. For August 1958, the Saloon, TS, De Luxe and Combi gained enlarged boots and by 1959 had the same rear lights to the Coupe and all had smaller diamond shaped emblems on the front grille. 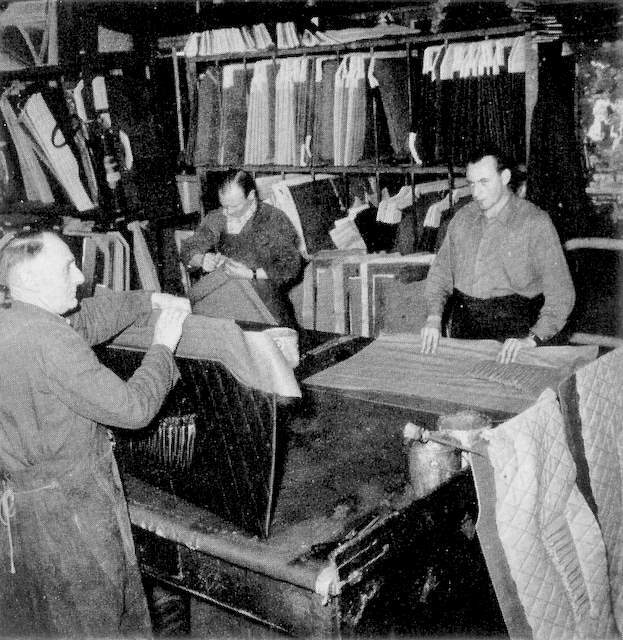 1959 was the largest output of Isabellas ever, 38,000 out of a total production of 105,000. 1959 also saw the introduction of the P100 Big-Six four door Saloon. It was a good looking 100 mph car with very up to date styling and was powered by a new 100 bhp six cylinder engine. 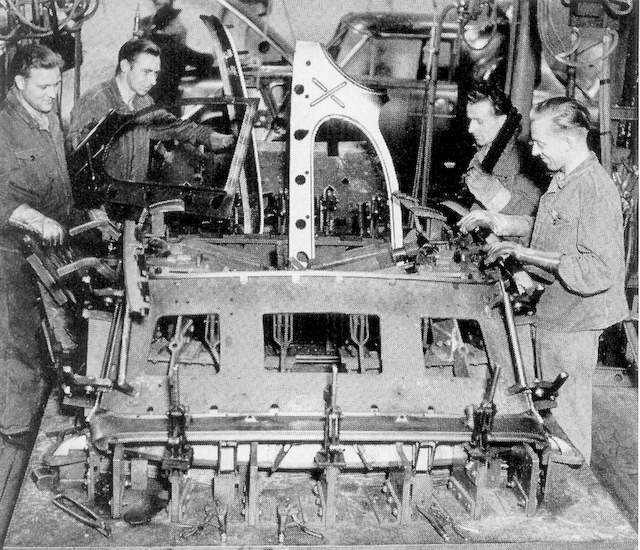 The P100 was the first German car to have pneumatic suspension and it was a major rival to the Mercedes-Benz 220 but its development was very costly. The Lloyd Arabella, which had also been introduced in 1959, was technically excellent but it was priced too low and was rushed into production with insufficient development. 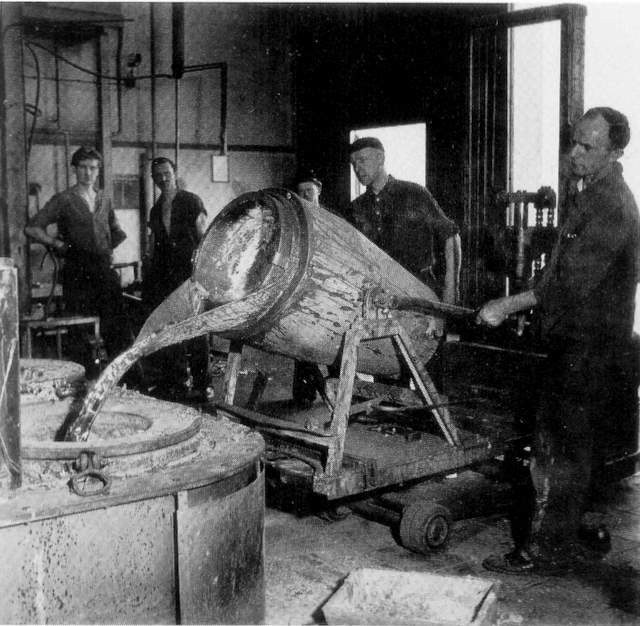 As a consequence there were problems with water leaks and with the gearbox and so many had to be recalled, thus costing the company vast sums of money. 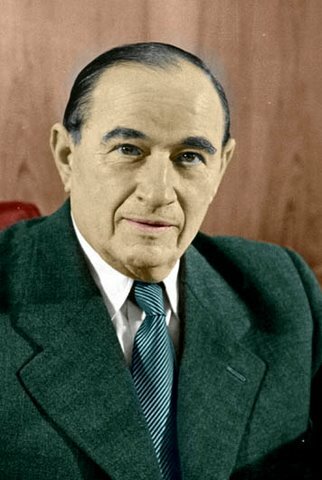 Carl Borgward approached the Bremen Senate to lend him some money so that the banks would provide a further loan. There was nothing odd in this but at the time the shipbuilding yards were desperate for workers so he was unable to use the threat of sacking his staff as ransom. On 31st January 1961 a sensational newspaper headline appeared "Borgward Stops Payment!" and suppliers' credit lines were cut off and the Bremen Senate stopped all cash flow. 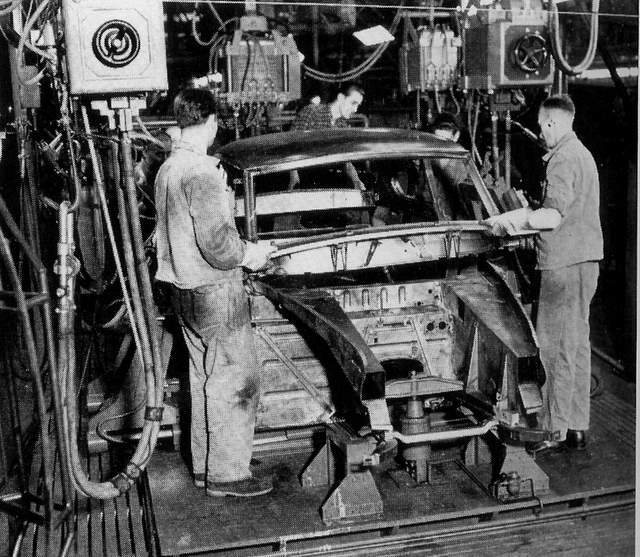 Less than a year earlier Senator Eggers and Dr. Johannes Semler had 'saved' BMW, which had been in a far worse state than Borgward. 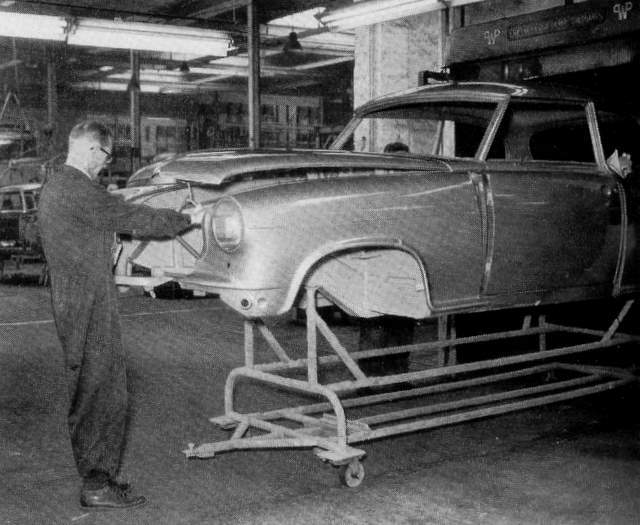 They came in to help but rumour has it that Herbert Quandt of BMW did everything in his power to hinder any rescue of Borgward. The situation became worse with the Press demanding action, frightening prospective buyers and as a result sales plummeted especially in the US. 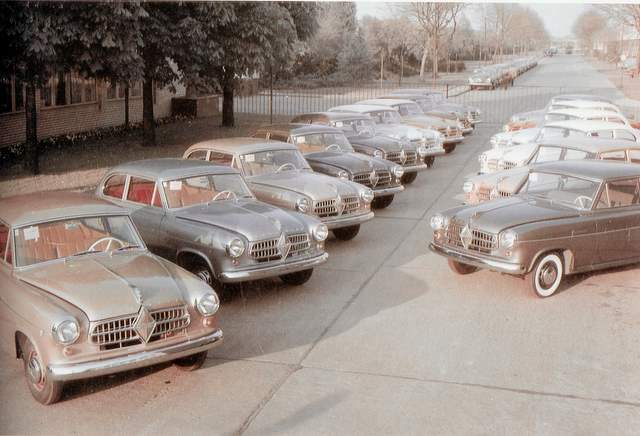 On 4th February 1961 the Bremen Senate took over the company and Dr. Borgward resigned. Companies such as BMC were interested in buying the company but they stalled to get the best deal. Finally a co-operative set up by the Borgward dealership, suppliers and customers failed. 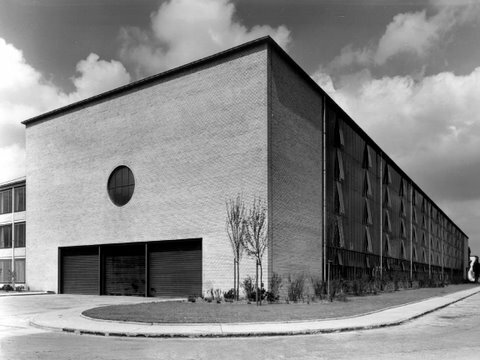 Therefore the total output of the Isabella between July 1954 and September 1961 was 202,862 cars. 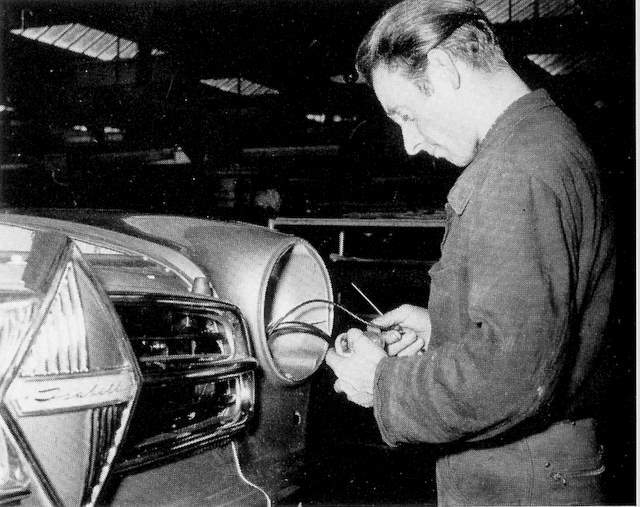 Carl F. W. Borgward died on 28th July, 1963, a broken man. 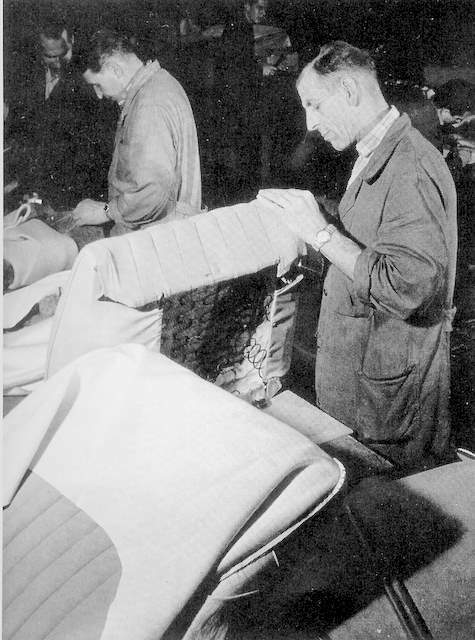 Picture from 25th January 1963 scrapping the production lines. The replacement Isabella with its new 1600cc engine never came to fruition. However its Frua styled body became the basis of the Glas 1700, eventually to become a BMW. 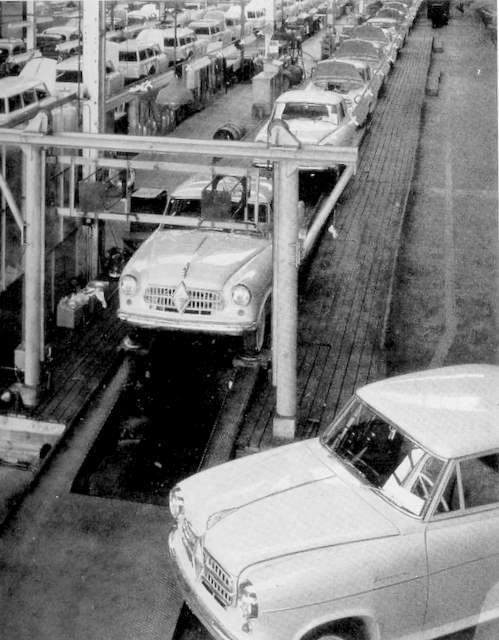 In March 1963 all the equipment from the factory was shipped to Mexico and the Impulsora Mexicana Automotriz carried on production of the P100 Big Six but not the Isabella. 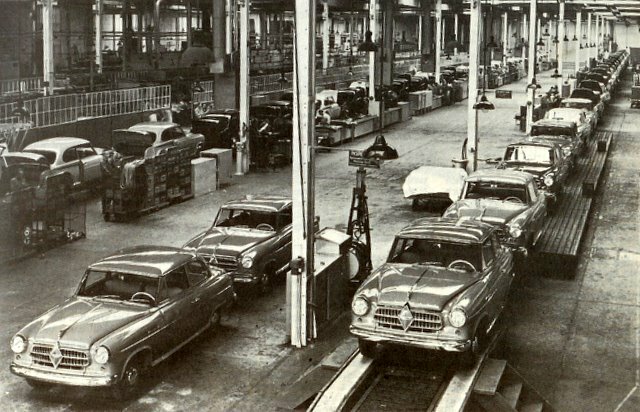 Many of the key Borgward personnel went to work for BMW and the old Borgward factory is used now by Mercedes Benz. 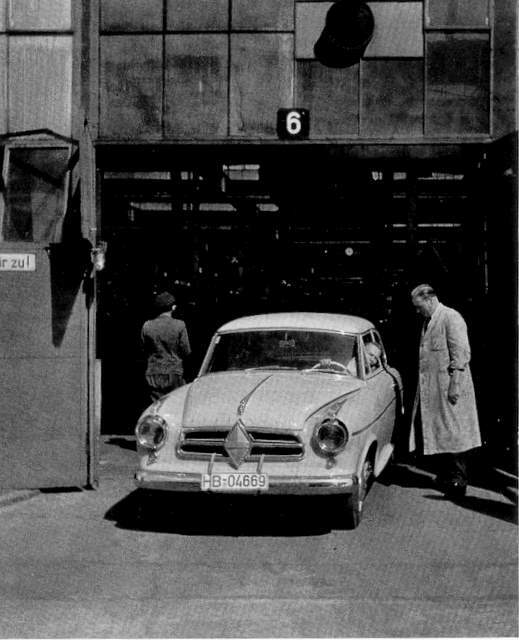 When in Borgward moved out in 1961, the van-maker Henschel moved in. Then in 1971, Daimler-Benz AG acquired Hanomag-Henschel (as it had become) and in 1977, began building Mercedes T1 Transporter vans there. 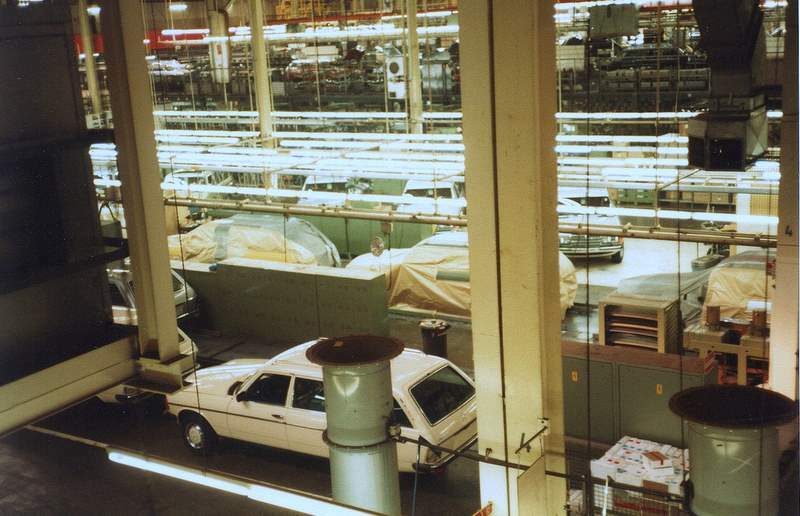 Finally, the plant was build a passenger car again, the W123 estate. Today the Mercedes SL, SLK, C-Class Glk, E-Class Coupé and Convertible are built in the Bremen plant. 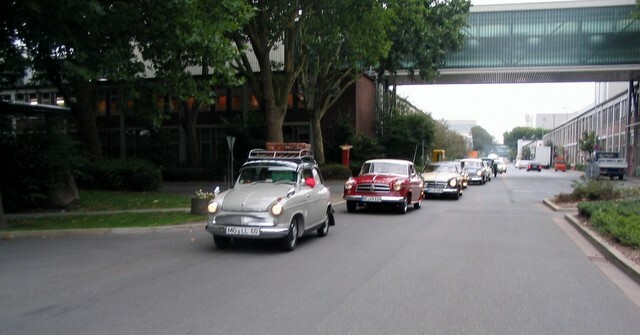 32nd International Borgward Meeting Bremen included a drive around the old plant 2006.